What is HR Analytics and Data-Driven Recruiting? Data-Driven Recruiting and HR Analytics are expressions used to demonstrate recruiting methods in which planning and decision making is based on data acquired through HR technology such as Applicants Tracking Systems and Recruitment Marketing Platforms. Similarly to marketing and sales, every step of recruiting and hiring now can be tracked and measured. This is a relatively new trend in the world of Talent Acquisition, and it has emerged as a result of the introduction of new HR technology and the need for improvement. Many recruiters face the same problem – finding and attracting the best talent. Since people are the biggest and most important drivers of every company’s success, the importance of bringing talented people is huge. Not knowing what are the reasons for not finding, attracting and hiring the right people makes it impossible to fix and improve the process. This is why many employers have turned to data-driven recruiting and HR analytics. Data-driven recruiting has proven to improve some of the most important hiring metrics such as time to hire, cost to hire and quality of hire. 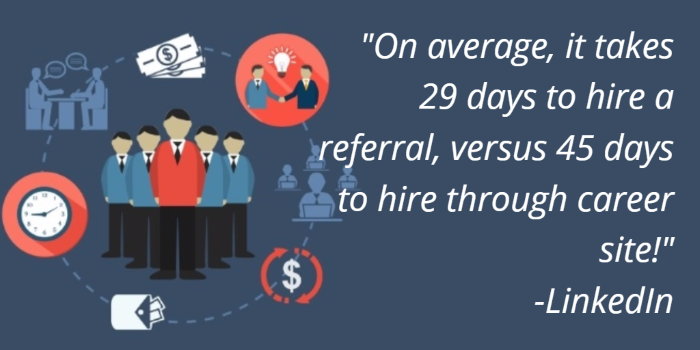 If you had data available that proves that referred candidates take shortest to hire, fastest to onboard, require the least money and stay longest with your company, would you still waste your money on job boards and job promotions or would you improve your Employee Referral Program? This is exactly why HR professionals use data in recruiting – to make better and more informed decisions and improve their productivity and success.